A mutilated body of a decorated Pakistani police officer was found in an undignified manner in a barren area on the Afghan side of the disputed Durand Line border between the two countries earlier this week locking the two neighbors in renewed diplomatic rift. 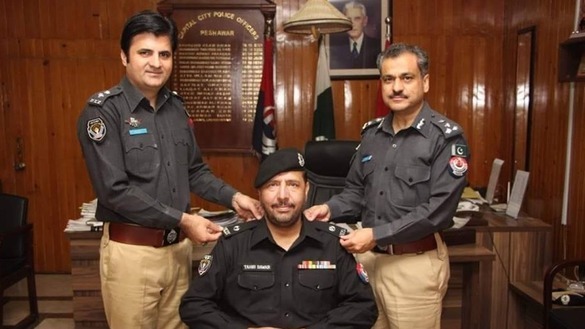 Superintendent of Police (SP) Tahir Khan Dawar ─ who was a staunch supporter of the Pashtun Tahafuz [safety] Movement ─ went missing from Pakistan’s supposedly most secure city, the capital Islamabad, last month. On November 13 it emerged his body has been spotted in a barren area in Afghanistan’s Nangarhar province few meters away from the disputed border between these two countries. Only these are established facts, the rest remains vague amid jingoism, desperate calls for justice and sprouting movement for the rights of ethnic Pashtuns in Pakistan. As ever in such matters, the all-powerful Pakistan Army, sparred no time in levelling allegations on Afghanistan. “His [SP Dawar] abduction, move to Afghanis tan, murder and follow up behavior of Afghan authorities raise questions which indicate involvement or resources more than a terrorist organization in Afghanistan”, the army tweeted right when the Pashtun tribal leaders of both countries were together in mourning and condemning the gruesome killing they described as a well-planed bid to sow hatred among them. And, then there was a tussle for Dawar’s body as the Afghans only agreed to handover the slain cop’s body to his family member and members of his tribe instead of a government delegation from Pakistan. Ironically, the two delegations were at the opposite end of the political spectrum. One of them is the PTM, a public movement with backing among the Pashtun tribes frustrated with the state’s alleged oppressive regime, including forced disappearances. The other, official delegation comprises of the government representatives that is weary of the PTM labelling it as a separatist movement allegedly backed by the Afghans and even India and the US. One segment of the society is describing the killing of Dawar as Pakistan’s Khashoggi, a Saudi journalist killed in Turkey by agents loyal to regime in Riyadh. While others are seeing it as the work of rogue elements hiding in war-ravaged Afghanistan bent upon destabilizing Pakistan. Now, amid all this wrangling, the quest for facts and justice for the slain officer’s family is lost. It has also fuelled the feelings of hatred in the region that has long been reeling from mistrust. As the PTM calls for international inquiry into the killing, the government in both countries should understand the sensitivities and stay committed to truth.